From versatile gray to comforting beige, neutrals are popular for a reason: they're reliable and they match with nearly any decor style imaginable. Unfortunately, neutral design elements are also in desperate need of a refresh. Classic neutrals are a safe option, but perhaps excessively so. It's tough to make an impression with gray, even if you play your look up with textures and patterns. If you're ready for an equally versatile alternative, it's time to rediscover black. 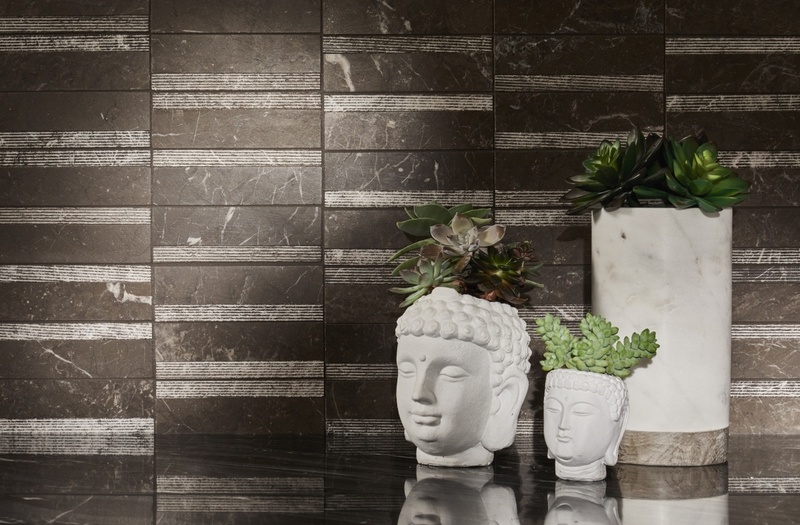 Capitalize on this modern tile trend and you'll boast the classiest, most sophisticated home on the block. 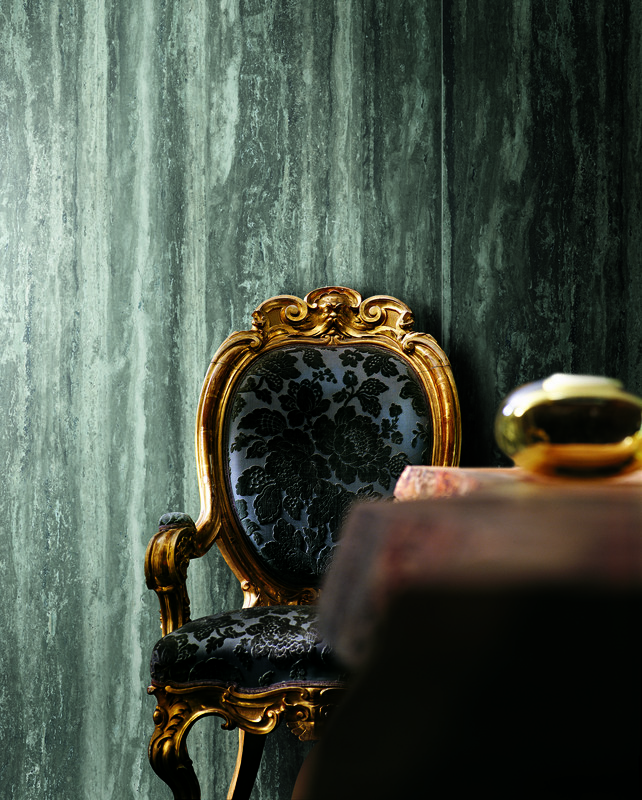 Elegant, dramatic and a little bit mysterious, black should have never exited our homes. But while it briefly fell out of favor in the HGTV era, it's back -- with a vengeance! 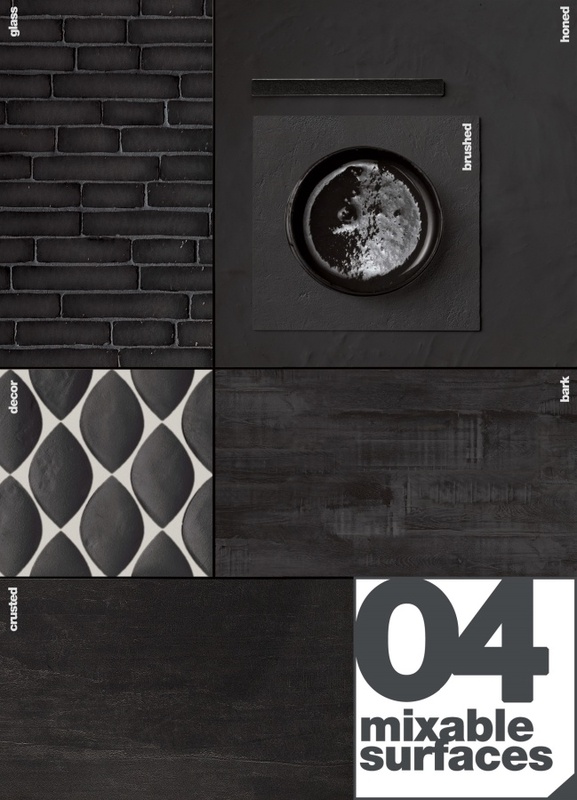 Bold black designs have made their way from the CERSAIE tile show in Italy to Denver and Aspen tile showrooms, where they're increasingly popular among a wide variety of homeowners. Black may be back, but it doesn't look exactly like the black tiles of yesteryear. As with white, black comes in more shades than the average person suspects -- and today, designers are eager to explore this surprisingly diverse range of dark hues. Keep an eye out for charcoal and other earthy colors in coming months. In addition to exploring off-shades of black, today's top designers enjoy playing with different forms of contrast. For example, instead of pairing black with tried-and-tested white, many opt for softer shades such as oatmeal. These hues give black a fresher feel, while still maximizing the color's inherent sophistication factor. In an era of large format, many homeowners avoid grout at all costs. Grout is not all bad, however. It just needs to be used in the right context. With all-black tile, white grout can provide a refreshing contrast. White grout is particularly attractive in black subway tile backsplash designs. Proceed with caution: although beautiful in the correct setting, white grout and black tile can be a maintenance nightmare. In an era of neutral obsession, black is daring enough on its own. When in doubt, simple is best. Try combining black flooring with classic white subway tiles for a clean, crisp look. Leave the chevron and other bold patterns for rooms featuring large expanses of white. In such spaces, busy patterns are less likely to make rooms feel cramped or confined. 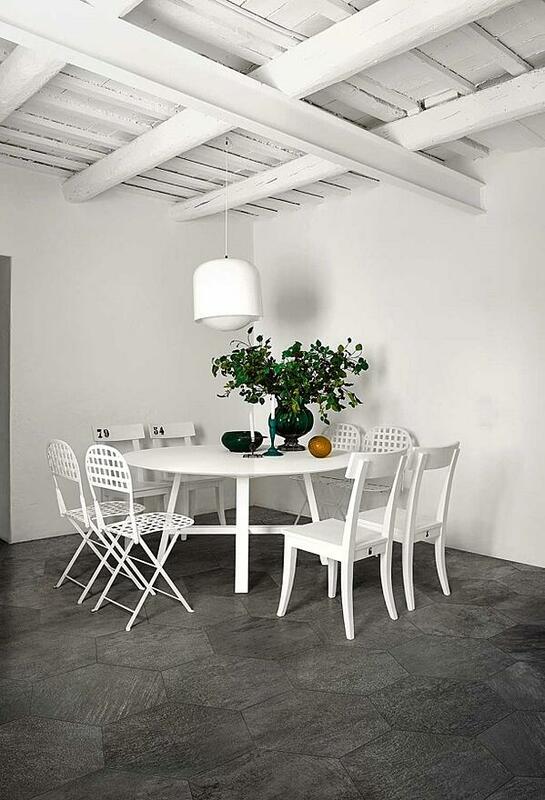 Ceiling-to-floor monochromatic works nicely with white. With black, however, it's a disaster. No matter how spacious, an all-black room will instantly feel cramped. Not even sophisticated lighting or large windows can deliver you from that dreary, dank feel. Leave the all-black look for the photography darkroom. If you love large expanses of cool black tile, limit yourself to either flooring or walls. For example, black marble floors combined with white backsplash could visually expand your small bathroom. With black tile, it's all about playing with contrast. Typically, that means combining black with white or the occasional burst of color. It definitely does not mean pairing with a dark color that resembles black. This problematic approach delivers all of the downsides of an exclusively black room, along with the visual disturbance of trying to distinguish between similar colors. Unfortunately, if you favor both black and earthy granite, you'll need to choose just one of these trendy colors for each room. Black tiles require more maintenance than you think. While they can disguise some forms of grime, others will appear almost immediately. Water spots, for example, are particularly visible on black shower backsplash. If not addressed, these spots will detract from the tile's otherwise sleek aesthetic. Clean immediately with a mix of vinegar and water to avoid long-term buildup. If you're not up to the task, black tile might not be the right choice for your home. If properly incorporated, black tile could make your home look trendier and more sophisticated than tried-and-tested whites or grays. Contrast carefully to create a sleek, eye-catching look. Ready to learn more about black tile and how it can transform your home? Contact us for more design tips and inspiration.